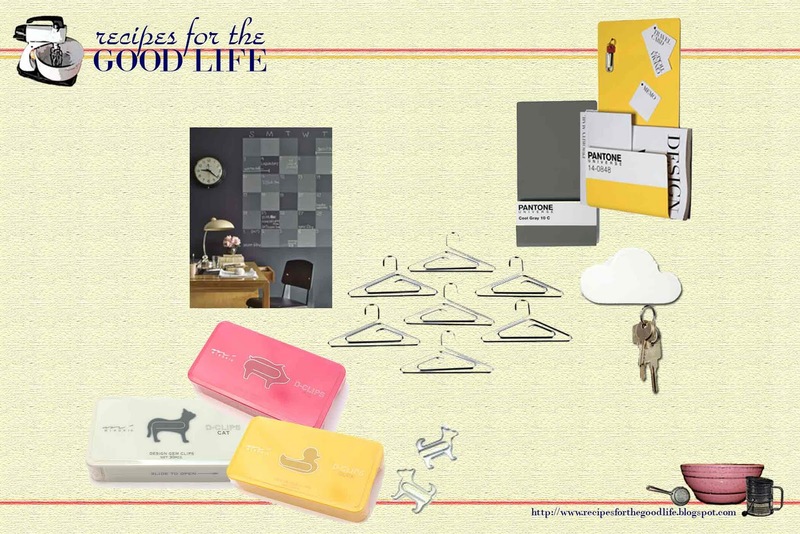 I love illustrations, so I was excited to stumble across Folk and Flora's notecards and Izola's Shower curtains. The simple renderings of everyday objects is eye catching. On the other hand, the transformation of every day objects, such as silverware that looks like skeleton keys by Seletti and doll-shaped dustpans, is also fun. 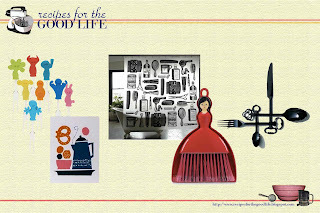 The Finds: Party People Snack Markers, $9.95, from CB2; Folk and Flora by Darling Clementine spotted on Parcel Post; PEVA and Canvas Shower Curtains by Izola Shower, $29 - $55, spotted on Design*Sponge; Dollsola Dustpan and Brush Set, $9.95, spotted on Joss & Main; Ketlery by Seletti spotted on Poppytalk. As I mentioned previously, it's hard for me to keep clutter from accumulating throughout our apartment, hence my first new year's resolution: "Get Organized. Stay Organized." (Check out my latest workspace crush from Lonny's January-February 2011 issue, page 50; if only we had the room and cubes didn't mind extensive use of wicker.) Slowly but surely, we're digging out from our wedding which was four months ago. How are you doing on your resolutions? Still working on them? To motivate myself, I've been surfing a lot of design sites, and I've seen a lot of designer's inspiration boards. A white workspace designed by Kikki.k spotted on Besotted Brand. Shadow boxes and trays with inspiration from Lonny spotted on Paiges of Style. A lemon yellow, grey and kraft paper delight from A Creative Mint (visit Leslie's blog to see all of the craft supplies she has and how she organizes her journal). These spaces for gathering items to spark inspiration have me daydreaming about what I could do in my sewing nook. Some things that might be doable: pressboard painted with chalkboard paint, paperclips in neat shapes, and super convenient place to hang my keys. 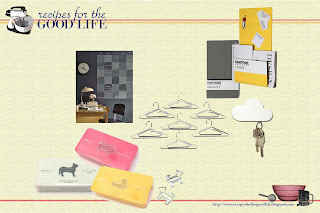 The Finds (from left to right): Animal Shape D-Clips by Midori, $6.73, spotted on Twig & Thistle; Martha Stewart's Custom Chalkboard Paint DIY; PhotoHanger from Arango, $9.50, spotted on Black*Eiffel; Pantone Wallstore by Seletti; Magnetic Cloud Key Holder by Duncan Shotton spotted on SwissMiss. Coming up this week, we'll feature Alder Lane Farm pasture-raised eggs (and what we made with them), ways to organize recipes, my birthday dinner at Farina, and my entry in my company's chili cook off.